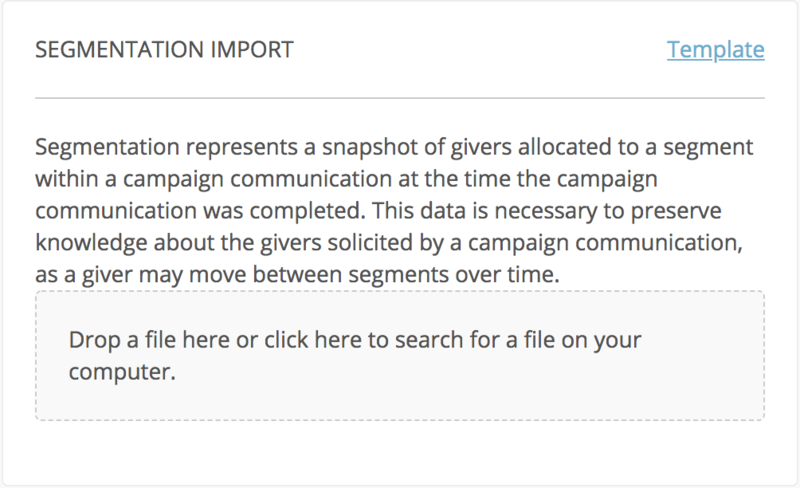 Can I Import my Own Campaign Segmentation? Some users may prefer to conduct additional segmentation analysis outside of Virtuous. These Segments can then be directly imported to Virtuous. 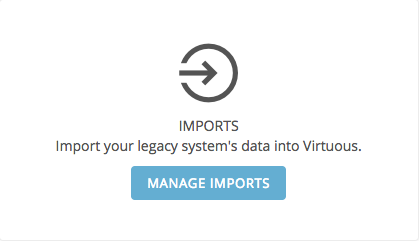 To do so, navigate to the Settings page from the left-side menu, click on the "Odds & Ends" tab, and then select "Manage Imports." On the Imports screen, look for the Segmentation Import in the right-hand column. Click "Template" to download the import template. Once you've completed any external analysis and segmentation, transfer that work to the import template. You must include the Segment Name, Segment Code, Communication Name, Campaign Name, and Contact ID fields. Make sure that you have already created the Campaign and all Communications and Segments in Virtuous prior to importing. When ready, simply drag and drop the completed import file into the box that says "Drop your file here or click here to search for a file on your computer" to begin uploading. An on-screen notification will pop up once the import is complete. Check to ensure all records are imported successfully; if there are any errors, download the provided csv, correct any errors directly in the downloaded file, and then re-upload the entire corrected file using the same process as before. Any records already imported will not be duplicated. Repeat this process until all records have been successfully imported.